When I started this blog almost three years ago, I promised I would take you with me on my newest adventure: leaving my corporate job and seeing what happens next. I had no plan, no safety net…just a little bit of savings and a desperate desire to find my way back to a more creative life. Since then I’ve shared some of my travels, the creative classes I’ve taken to get my mojo back, and talked about what it takes to start your own freelancing business. Then I got so busy with said business that I forgot to stop and chronicle some of these adventures. 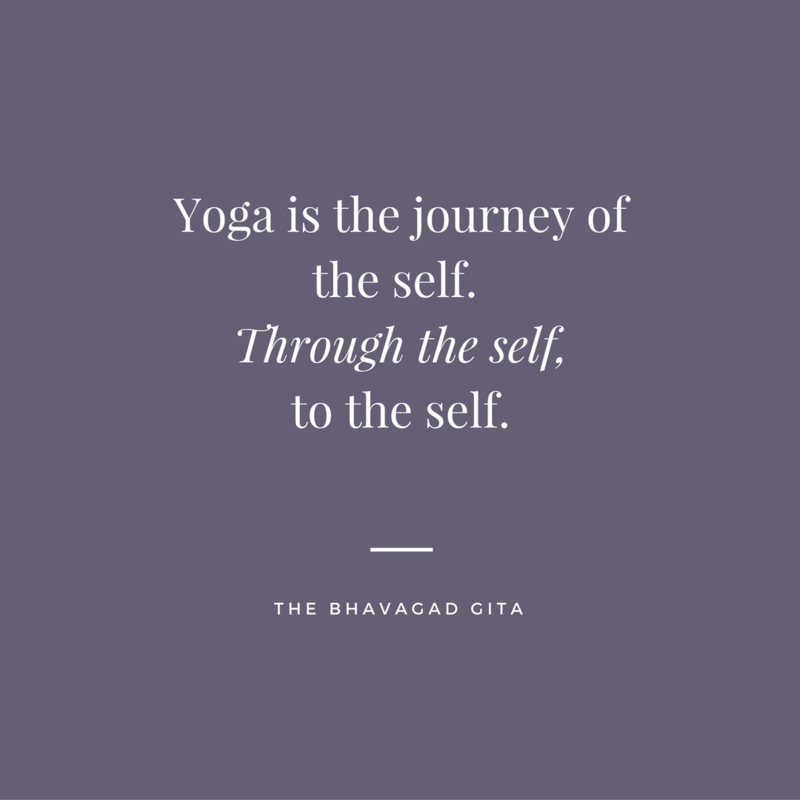 I’ve also talked about my growing love for yoga, and that has led me to a new adventure: I’m training to become a yoga teacher. Now before you roll your eyes and wonder if it’s possible for a person to check every box on the cliché checklist, let me tell you: I’m not sure yet if I actually want to teach. And I am still 100% committed to my business as an author and marketing consultant. But I love this thing called yoga so much that I want to learn more. Every time I learn something new about it, I crave more. For the last couple of years, I have been going beyond my usual weekly classes to seek out more information in workshops and other forums. I’ve studied Reiki and inversions and yoga philosophy–but I’ve really only scratched the surface. There is SO much more out there to learn. So I committed myself to 14 weeks of training, which will ultimately lead to a 200-hour yoga teacher certification with the Yoga Alliance. I am learning sanskrit. And anatomy. And all about chakras and ayurvedic principles, how to cue poses and read the room and look for misalignments. It is a LOT of information. I come home tired and excited and overwhelmed and did I mention tired? I don’t know where this is leading. But I know I love the journey. Ultimately, I made the commitment because it’s what my gut (and my curiosity) told me to do. The timing was right, I adore my studio and the teachers who are running the program, and it just felt like the right path for me to follow. So I choose to be liberated. To build the life I want to live. As my studies continue over the next few months, I know there will be revelations and breakdowns and breakthroughs. When I have a moment to stop and reflect, I promise to keep you posted. Back when I was working my corporate job, mornings were a hectic, spastic kind of a mess. To get up and out and take care of everything that needed to be handled before rushing out the door to sit in traffic was…madness. I always wanted to get more organized, and maybe even bring a little calm to my mornings. But I could never figure out how to do it without making it even more time-consuming and complicated. As I retooled my life towards a more creative path, reclaiming my mornings was one of the first priorities on my list. Setting an intention for your day sets the tone for everything to follow; it’s no wonder you’re feeling stressed, panicked and exhausted if that’s how you’re starting off every morning. Flip that dynamic around—I dare you to just try it for a week and see if it makes a difference in your sanity.